Hikers take a rest near the Groedner Joch (in German) or Ju de Frara (in Ladin) or Passo Gardena (in Italian) in the Dolomites, Alps, northern Italy, Aug 16. 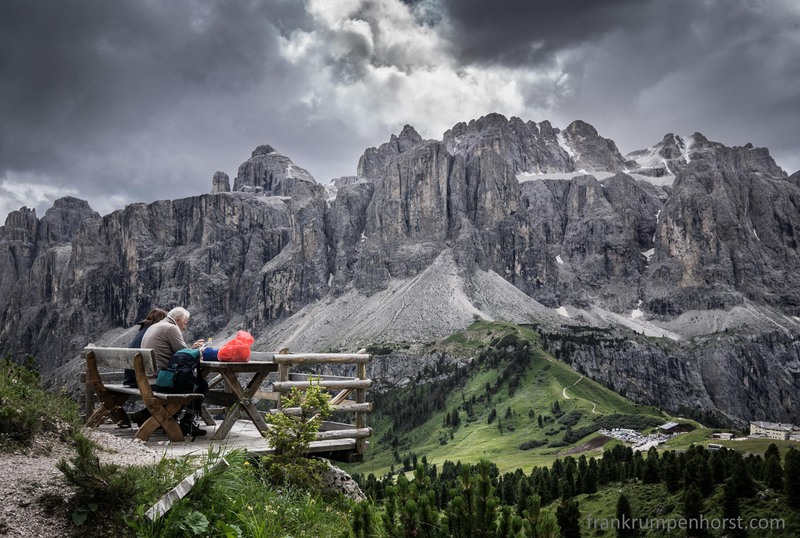 This entry was posted in Fotografie, Photo, Photo Journalism, Photography, Uncategorized and tagged alps, alto adige, dolomites, hikers, hiking, italy, joch, mountains, nature, pass, passo gardena, photography, red, rest, südtirol. Bookmark the permalink.